Doing your research for week 5 TEs on Draftkings or Fanduel is sometimes an afterthought. This is partly due to the variance in salary cap for tight ends on Draftkings is much lower than for other positions. This makes the perceived error in picking a TE lower. Also, on average, tight ends don't score as many fantasy points as wide receivers or running backs. Less emphasis is placed on the position and you may find yourself with a player ending up with close to zero points. 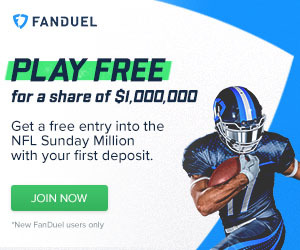 With daily fantasy football, just a few points can be the difference between a loss or a gain of money and any edge on the competition needs to be fully exploited. Below are a list of Draftkings/Fanduel week 5 TEs expected to produce more. This is a case where a big name high price player will be worth it in your lineup in week 5. Expect the best tight end in football to have a big game at home against a team that is averaging 17.05 fantasy points given up to a TE. Not as big of a mismatch as the previous player, but still a mismatch. Thomas is averaging 21 fantasy points a game and Arizona is giving up 14.67 points to opposing tight ends. Keeping in mind the fact that Arizona has one of the best rushing defenses and RB Monte Ball has not been a big factor in the Bronco's offense. This means that Peyton Manning will rely mostly on the pass game and Julius Thomas should get plenty of that action. *Note-Delanie Walker is listed as questionable to play because of his shoulder. This guy has really had a great year so far and is heavily undervalued on Draftkings. Week 5 pits him at home against the Browns who are giving up 15.9 fantasy points to tight ends. Keep an eye on his injury status but if he doesn't seem like he will play or play very little, it would be smart to pick up Craig Stevens ($3,000) who will be playing in his place. This will be Miller's most favorable matchup of the year and likely to be one of his best games. Although he has only been averaging 11.4 fantasy points per game, the Jaguars are the second worst team in the NFL when it comes to points allowed by tight ends. Paulsen is my TE pick of week 5 for several factors working in his favor making him a prime candidate for value. Surprisingly, the Seahawks come in right after the Jaguars as the 3rd worst defense against tight ends. Remember week 2 away from home against Antonio Gates? Niles Paul will likely miss the game due to a concussion in week 4 which makes Logan a perfect candidate to come in and play in his absence. Another case of a player getting the starting job due to injury. Dennis Pitta is out for the season due to a hip injury. The Ravens have relied on Pitta all year in their offensive scheme and will continue in utilizing Daniels. The Colts give up the 4th most fantasy points to tight ends right behind Seattle. This pick has value written all over it. Watch out for this relatively unknown player to be a sleeper in Dallas in week 5. The Cowboys are by far the worst team in the league against tight ends. In comparison, tight ends score 7 more fantasy points against Dallas than against the 2nd worst, Jacksonville. Garrett Graham is only averaging 6.2 fantasy points per game but he could have his best game of the season. Houston will likely be fighting the clock as well as chasing the red hot Cowboys all game long which means Ryan Fitzpatrick and the Texans will be passing the ball a lot.